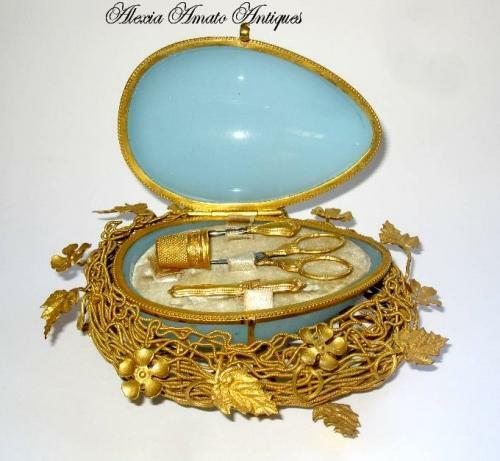 Large Palais Royal Blue Opaline Glass Egg Etui with Fine Dore Bronze Nest with Leaves and Flowers. The Inside of the Egg Contains Original 5 Gilt Sewing Items Comprising of Scissors, Thimble, Needle hHolder and Other Sewing Items. In Excellent Condition. From the Original 19th Century Palais Royal Shops in Paris.